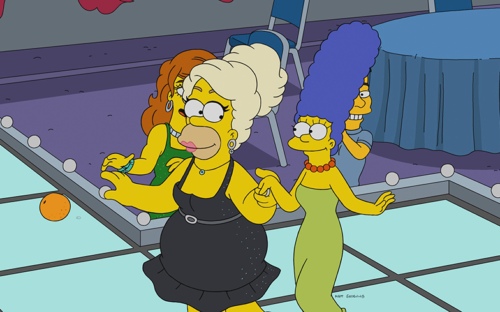 More details have been released about the upcoming drag episode of The Simpsons. 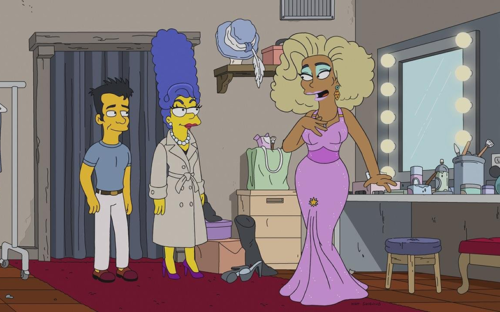 RuPaul and Raja (winner of season 3 of RuPaul’s Drag Race) announced that they would be appearing on the Simpsons a few weeks ago. Now a few images of the episode have been shared with the press that show Homer and Marge both dragged up. 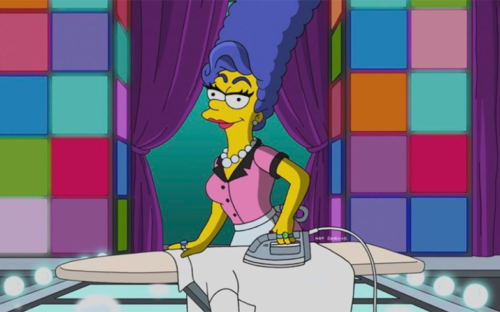 The episode itself is about Marge getting a new job (how many has she had so far?) selling Tupperware, as showrunner Al Jean explained to Entertainment Weekly. This is true – most successful Tupperware sellers are drag queens. So Marge starts selling Tupperware, and her friend Julio convinces her to pose as a drag queen to make more money. 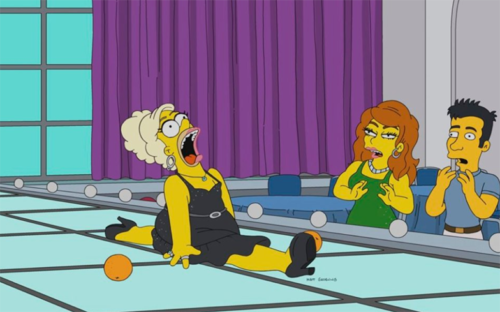 They think she’s a guy playing a woman, which Marge kind of looks like a little. The episode will air on November 18.